The opening minutes saw the Bulldogs and Kings playing at a different pace, as the Kings were in an extra gear and the Dogs were trying to keep up. The Bulldogs were penalized just short of three minutes in, and the Kings made quick work of the man advantage as Kyle Kawamura ripped a cross-ice pass from Jonny Evans short-side past the blocker of Colten Lancaster from the top of the left circle. Gavin Rauser also drew an assist at 3:08 of the first. 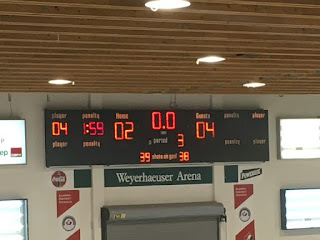 The Dogs continued to chase the game over the following minutes, but did a good job of bending and not breaking as Lancaster was good when needed with a series of pucks on net as the Kings ran up a 7-0 lead in shots. The Dogs finally tested Mitch Adamyk just short of seven minutes into the game, and then had a strong push back shift in the attacking zone when they threatened but couldn't equalize. They looked certain to have earned their first power play of the game in the following minutes when Darren Rizzolo was drilled from behind/boarded with an Official having a front row seat to the infraction, but no arms went up. The rest of the period was fairly evenly played, save for the two further Kings power play chances they were awarded. While they threatened on them, the Dogs did a good job to kill them and keep in the game to trail just 1-0 after 20 minutes, with the shots being 13-6 Kings. The start to the second was somewhat similar to the first, as the Dogs weren't crisp with the puck and it came back to bite them as a pass up the middle out of their zone as Josh Coblenz picked it off and threw it at the net where Ben Berard got a stick on it to tip it off the blocker of Lancaster, off the post, and then in to make it 2-0 at 1:53 of the first. The Bulldogs did a good job in my opinion of not letting the early-period goal deflate them, as they fought back to finally earn a call the other way. The first minute of the power play didn't look good, as the Dogs were loose with the puck in their end and didn't get going with any pace. When they did gain the zone, they found the back of the net as Michael Sacco fed the puck back to the left point for Connor Welsh. He would go D-to-D across the line to the right point to Mitch Oliver, who snapped a quick release at the net that beat a screened Adamyk blocker side to make it 2-1 at 5:40 of the second. The remainder of the period was hotly contested and played at a high pace, but there was no scoring. Each team had a Grade A chance, with Adamyk robbing Brad Ong with his glove on a open net set up by Christian Simeone and Michael Sacco. At the other end later in the period Colten Lancaster kept the Dogs down just by one when he came up with a big breakaway save on Kevin Obssuth. Shots in the period were 11-8 Bulldogs, for a 21-17 Kings advantage after 40 minutes. The Bulldog power play to start the third was somewhat similar to their earlier advantage, however without the same result as they struggled in their zone to move it cleanly and wasted precious time. When in the zone, they did create a couple good looks but couldn't cash in. Another power play later in the period saw them create some looks, but they didn't push enough to get a bounce to tie it. At the other end, Colten Lancaster came up with another game-saver on a breakaway by Ethan Kimball where he undressed a defenceman and got in alone where Lancaster dragged his left toe to keep it out and keep the Dogs within one. A tough penalty to take that saw sticks up away from the puck put the Kings to the power play where they would connect to all but put the game away when Carmine Buono put a high wrist shot through traffic from the top of the point that beat a screened Lancaster glove side to make it 3-1 at 12:52 of the third. The Dogs couldn't get back into it, and were penalized again with just over two minutes to play to all but halt any comeback chances. They did push to the final minute, winning an attacking zone draw to create a 2 on 1 rush that saw Adamyk come up with a blocker save on Michael Sacco. The Dogs couldn't get the puck back before Kevin Obssuth took a Josh Coblenz pass at neutral ice where he hit the empty net for the power play marker to make it a 4-1 final at 19:24 with Josh Coblenz and Mitch Adamyk assisting. Third period shots were 10-10, for a game total of 31-27 Kings. The Dogs went 1 for 3 on the power play while the Kings were 3 for 5. The Dogs are next in action tomorrow afternoon when they host the Langley Rivermen for a 2:00pm puck drop. It's the first meeting of the season between these Island Division rivals, as the Bulldogs (2-3-0-1) visit the Kings (4-1-1-0) in Powell River at the Hap Parker Arena. 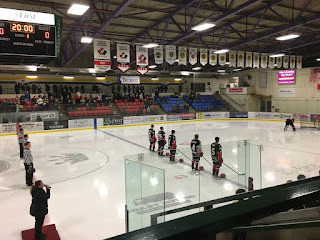 The Bulldogs of course were in action last night at home, where they picked up an entertaining 5-4 win over the Nanaimo Clippers. The Kings meanwhile had last night off, as this is their only action of the weekend. 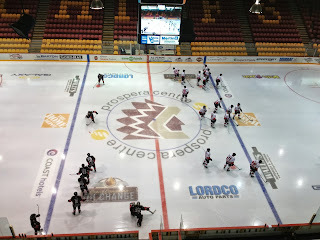 They were last on the ice in Chilliwack at the Showcase on Saturday in Chilliwack where they had a three game winning streak halted with a 4-2 loss to the Trail Smoke Eaters. If you can't make it to Powell River, I'll bring all the action from inside the cozy confines of the Hap Parker Arena home to you on Pacific Chevrolet Bulldogs Hockey on 93.3 The Peak FM. Once again note the unique start time of 5:00, which means the pregame show will be on the air at 4:45. Tonight's 2nd Intermission guest is Mike "Boiler" Bordignon, the play-by-play voice of the Langley Rivermen, who the Dogs host tomorrow for a 2:00pm puck drop at the Dog Pound. Video highlights from tonight's game - sorry there aren't more included, I need to try and hit the hay...early bus tomorrow morning! The pace was high from the opening puck drop in this one, with the Clippers having an early push in the first four minutes with a handful of pucks thrown on net turned aside by John Hawthorne. The Bulldogs pushed back almost immediately, with Cole Poliziani having the best chance on a clear-cut breakaway only to have Noah Featherstonehaugh Gowe come up with a big glove save to keep it scoreless. The Dogs kept the push on, but it came back to bite them as they got caught over agressively pushing and gave up a long 2 on 1 as a result that saw Brady Lynn keep the puck up the ring wing and over the Dogs line to the top of the circle and in tight where he put a perfect snap shot off the post and in, long-side past the blocker of Hawthorne. Assists went to Brad Belisle and Preston Brodziak at 6:40 of the first. The Dogs didn't appear to sag after the goal against, as they pushed back and got the equalizer with just under seven minutes to play in the period when Brandon Bergado stole the puck on the forecheck off a lost faceoff and put it perfectly to the slot for Paul Selleck where he snapped a quick release high past the glove of Featherstonehaugh Gowe to make it 1-1 at 13:18 of the first. The Dogs would end up in penalty trouble immediately afterwards, with one call being followed by another 42 seconds later that saw Darren Rizzolo ejected for a hit from behind. The Clippers came close early in the 5 on 3, ringing a shot off the post, but the Dogs killed the rest off beautifully with Michael Sacco making a great play to block a shot to clear the puck and salt precious time off the clock. Late in the period after what looked like a couple calls were missed, the Dogs earned a power play of their own. They had a couple good looks, but couldn't capitalize on them, before the Clippers were sent to the box again with less than five seconds to play in the period when a trip and a dive cancelled each other out, but an unsportsmanlike conduct call was then tacked on. Shots in the period were 18-16 Bulldogs. The Dogs made the Clippers pay for the extra penalty as they cashed in on it just 44 seconds into the period. Connor Welsh made a series of great plays at the left point to keep the puck in the zone, before sneaking in to put a backdoor set up on net that was picked out of mid air with the paddle of the goal stick by Featherstonehaugh Gowe. Welsh didn't give up on the play, and banked the loose puck in from behind the goal line to make it 2-1. Assists on the play went to Michael Sacco and Jackson Doucet. The Dogs would protect their lead with a penalty kill, and then build it later in the period with another power play goal as they worked the puck around the zone beautifully on a series of squences before Mitchell Oliver got a shot through from the right point that was stopped by the Clipper netminder, but he couldn't control the rebound as Keaton Mastrodonato lifted it home from the side of the crease for his first career goal to make it 3-1 at 11:01 of the second with Jackson Doucet and Mitch Oliver drawing the assists. The Dogs had a couple good chances around the net to build their lead over the following minutes, but the Clippers held on before getting back into it on a turnover by the Dogs in their zone resulting in a breakaway for Jamie Collins who made no mistake with a beautiful backhand, top corner over the glove of Hawthorne to make it 3-2 at 17:52 of the second. Shots in the period were again 18-16 Bulldogs in the period for a 40 minute total of 35-32. The Dogs struck early in the third to take their two-goal lead back, as Cayden Kraus got help on a battle on the left wing wall in the Nanaimo zone to keep the puck in. He then walked across the zone before dropping it to the top of the point for Tyson Slater, who snapped a quick shot on goal that was deflected home through the legs of Featherstonehaugh Gowe by Keaton Mastrodonato for his second of the game to make it 4-2 Dogs at 2:32 of the third. The Dogs pressed, but the Clippers again wouldn't go away as they dug back into it to make it 4-3 on an extended attacking zone shift that saw the puck thrown to the front of the net where it was stopped by Hawthorne, but the loose puck bounced off traffic across the crease where it was found and lifted home by Jamie Collins for his second of the game at 7:26 of the third with assists going to Brad Belisle and Vincent Millette. The Clippers put on a strong push over the following minutes looking for the equalizer but the Dogs didn't break as Hawthorne was good when called upon. The Bulldogs would push back themselves, and again took a two-goal lead at the end of a fantastic attacking zone shift that went on for what felt like forever, as Isaac Tonkin-Palmer and Cole Poliziani along with Cayden Kraus moved the puck magnificently around the attacking zone before Kraus chased the puck down behind the net and walked out near side and got on his forehand where he snuck one home short-side to make it 5-3 at 15:41 of the third. The Dogs had a couple of opportunities to put the game away over the following minutes, but it was instead the Clippers that refused to go away, making it a one-goal game with less than a minute to play after a couple of Bulldog misses on an empty net. Jamie Collins would take a perfect pass from Tristan Crozier - although he didn't get credit for it - and walked in alone down the left side in tight where he lifted a backhand home over Hawthorne to make it 5-4 at 19:26 of the third, with Jeremy Gervais drawing the only assist on the play. The Clippers would come no closer over the remainder of regulation, as the Dogs forced them into an icing to seal the deal. Third period shots were 16-13 Nanaimo, for a game total of 49-47 Bulldogs with John Hawthorne picking up the win while Noah Feathstonehaugh Gowe took the loss. The Dogs went 2 for 6 on the power play while the Clippers went 0 for 7. The Dogs are next in action tomorrow night in Powell River for a 5:00pm puck drop. It's the start of a busy three-in-three weekend tonight at the Dog Pound, as the Bulldogs (1-3-0-1) host the Nanaimo Clippers (4-1-0-1) for the first time this season. This is the second head to head meeting already, with the Clippers winning the opener in comeback fashion 5-3 on September 8th. The Bulldogs haven't played since last Friday at the Showcase, where they dropped a 3-2 decision to the Penticton Vees. The Clippers were last in action Saturday at the Showcase, as they ran their unbeaten streak to three, while having their win streak stopped at two by playing to a 3-3 tie with the Wenatchee Wild. It will be nice to not be broadcasting solo, with Bruce and Dan back in the booth to provide colour commentary/analysis and team and player statistics while I call the play-by-play. 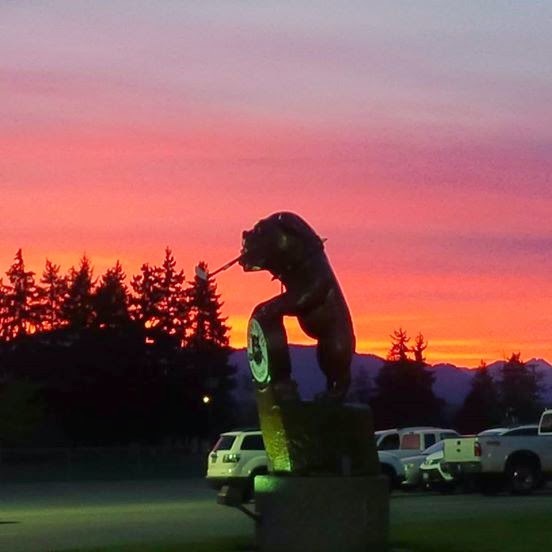 Van Isle Ford Bulldogs Hockey on THE PEAK is on the air at 6:45 for the pregame show, with the play-by-play following the 7:00pm puck drop. 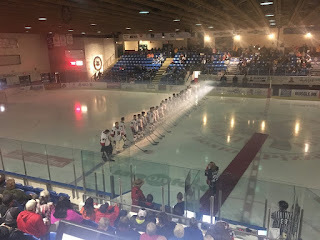 Tonight's 2nd Intermission guest is Alex Rawnsley, the play-by-play voice of the Powell River Kings, (also of Sportscasterlife.com) who the Dogs visit tomorrow for the first meeting of the season between the teams. Note the start time of 5:00pm. Sorry it took me so long to get this up on the blog. It's a time consuming effort to get the video from Hockey TV - at times marry up audio from the radio station to the video - and then get it on youtube, and then get it on the blog.... whew. Having said that, I know I should do more of this as it's appreciated. If you ever have any audio or video requests, don't hesitate to ask and I'll do my best to make it happen. Some special pucks from the video below for Julian Benner, Christian Simeone, Jackson Doucet and Michael Sacco. 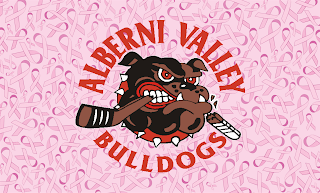 On October 7th when the Alberni Valley Bulldogs take on the Trail Smoke Eaters at the Alberni Valley Multiplex will be Pink in the Rink for our Breast Cancer Awareness Night. 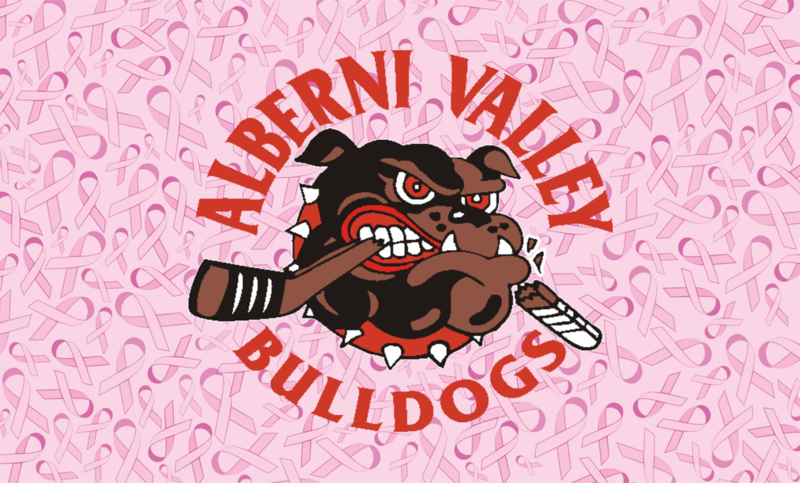 Along with the Bulldogs Players wearing Pink Stick Tape, Pink Laces and Bev Frolic, a long time season ticket holder and volunteer for the Port Alberni Canadian Cancer Society setting up a booth at the game, the Bulldogs Hockey Club will donate $1.00 from every walk-up ticket bought at the game. The Bulldogs will also have a Banner onsite encouraging fans and corporate partners to sign it letting those battling this devastating disease we support them! 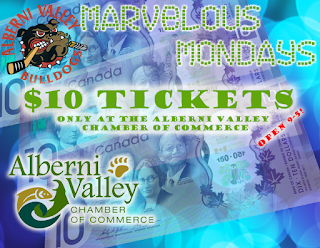 The Alberni Valley Bulldogs are excited to be partnering with the Alberni Valley Chamber of Commerce in offering Marvelous Monday Ticket Special. Every Monday prior to a game that week the Alberni Valley Chamber/Visitor Centre will offering tickets at an unbelievable price of only $10! This special is only available in person at the Chamber/Visitor Centre with only 30 tickets on sale. The first installation for Marvelous Monday Ticket Special is October 2nd, The Chamber Office/Visitor Centre will have tickets for the October 7th Game against the Trail Smoke Eaters. The Alberni Valley Chamber Office/Visitor Centre is open from 9:00AM till 5:00PM. 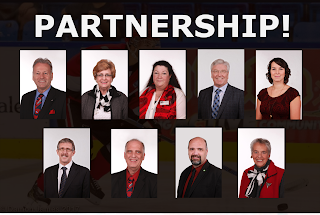 The Alberni Valley Bulldogs are excited to announce a Partnership between several School Board Trustees and City Council which will get deserving families into see the Bulldogs play! 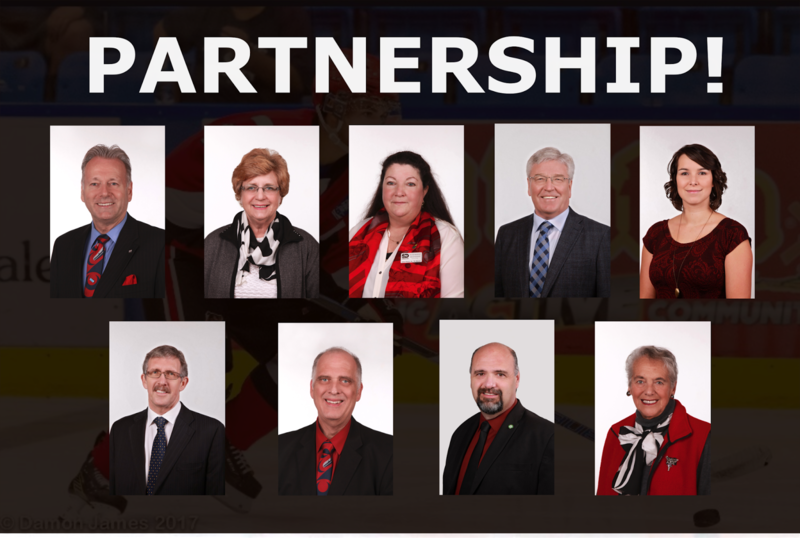 Mayor Mike Ruttan, City Councillors Sharie Minions, Denis Sauve and Ron Paulson along with School Board Trustees Pam Craig, John Bennie, Rosemarie Buchanan, Pat Dahlquist and Larry Ransom have partnered together to buy several season tickets to give to families in the School District. Each school will have several tickets to giveaway throughout the school year to students and their families. "This is what community is all about!" 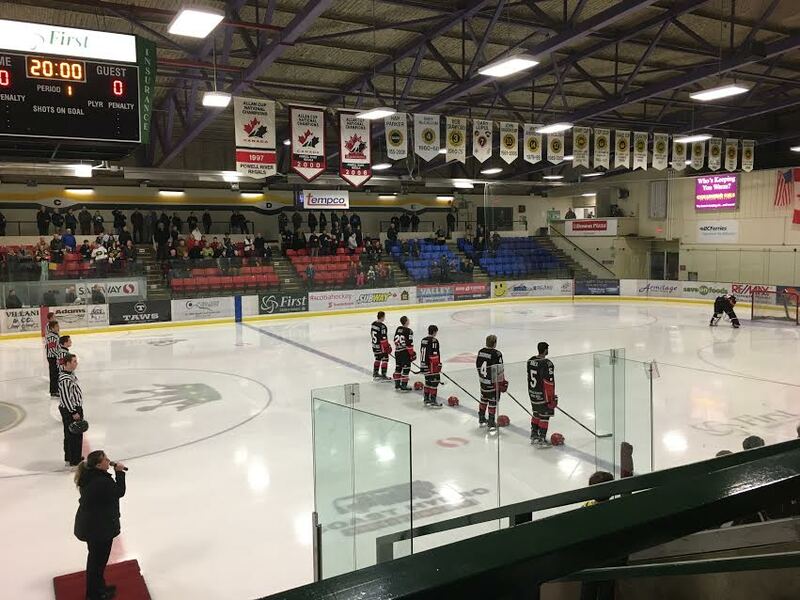 Tali Campbell, Director of Business Operations for the Bulldogs said "Our Mayor, Councillors and Trustees are the leaders of our community and they are doing an incredible deed to make sure everyone has a chance to see the Bulldogs play. 100's of families will now get to see a Bulldogs Game. It's truly amazing." The Bulldogs are also working with the School Board in trying to initiate a School Night at an upcoming Bulldogs Game as well as continuing on the success of Bulldogs in School. The Dogs were penalized just over a minute into the game, but didn't give up much as Colten Lancaster felt the puck but didn't face much in the way of glaring chances. Soon after the kill was over, the Dogs had the best chance of the game as Jackson Doucet sent Keaton Mastrodonato in alone on Nolan Hildebrand, who came up with a good save to keep it scoreless. The Dogs would find the net first, for the fifth straight game to open the season not long after that when Connor Welsh dished off to Keaton Mastrodonato and went to the net. Mastrodonato would pound a shot on net that was stopped, but Hildebrand couldn't control the rebound and was out of position as Welsh dug it loose to the front of the net where Jackson Doucet poked it home for his first career goal at 7:48 of the first. The Dogs would build their lead in the late stages of the first when Darren Rizzolo tied the puck up at the side of the Dogs net and kicked it to the corner. Christian Simeone would tie it up and battle it loose for Michael Sacco, who came down to support the pile. Sacco would go end-to-end up the left wing, and from the left half-wall in the Vees zone he threw a wrist shot on goal that snuck through the legs of Nolan Hildebrand and just over the line to make it 2-0 at 19:51 of the first, with Christian Simeone and Darren Rizzolo drawing the assists. Shots in the period favoured the Vees 10-7. The second period began with the Vees being penalized when their goaltender Adam Scheel covered the puck outside of his crease. The Dogs were immediately penalized however, bringing about four-aside hockey. The Vees would get on the board almost immediately, as Johnny Tychonick found the puck behind the Dogs net and threw it to the slot where Ben Allen snapped a quick release through the legs of Lancaster to make it 2-1 at 2:43 of the period. The Vees pushed for the equalizer and had a great chance a few minutes later, but Lancaster came up with a great save on the doorstep on Chris Klack to protect the lead. The Vees would go to a power play to build the lead, but the Dogs killed it off efficiently. Another four-aside situation later in the frame ended when the Vees were penalized for too-many-men, bringing about a Dogs power play. They couldn't cash in on it, but threatened with a couple good looks. A follow up penalty put the Dogs on a 24 second 5 on 3, but they couldn't cash in on it. 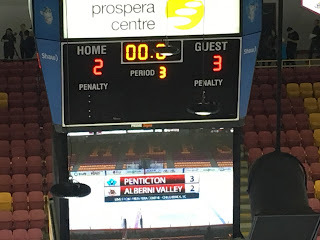 Two further Penticton penalties in the late stages of the period again saw the Dogs threaten in tight with a series of chances, but the score remained 2-1 after 40 minutes. Shots were 12-9 Dogs in the period, for a 19-19 total. The Dogs began the third on the power play, but were again taken off of it due to a penalty. They would kill off the following Vees power play, but it was a 2-2 game before the four minute mark of the period as the Vees won a draw in their end and quickly attacked up ice with a crisp outlet pass that was knocked down by Jackson Keane. He would then feed a perfect cross-ice pass at the Bulldog blue line for Dakota Boutin, who walked in alone and snuck one under the arm of Lancaster to make it 2-2 at 3:42 of the third, with Ryan O'Connell also drawing an assist on it. The Dogs didn't respond well to the goal against, as they seemed to struggle to find any motivation to push back over the next couple of minutes. The Vees would make them pay, as a turnover at centre resulted in another in-alone chance off a cross-ice pass, this time from the opposite side of the ice as Jackson Keane set up Ben Allen walking to the net down the left wing where he picked the top corner, far-side, high over the glove of Lancaster to make it 3-2 at 7:49 of the third. The Bulldogs would hang on, and keep it a one-goal deficit into the back half of the third. The Vees would be awarded a power play to try for some insurance, but again the Dogs killers didn't give up much to keep in the game. 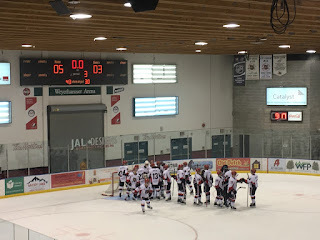 The Bulldogs showed some signs of desperation into the final five minutes of the third to try and net the equalizer, but the Vees made the lead stand to the final buzzer for the 3-2 final. Shots in the third favoured the Vees 11-7, for the game total of 30-26. 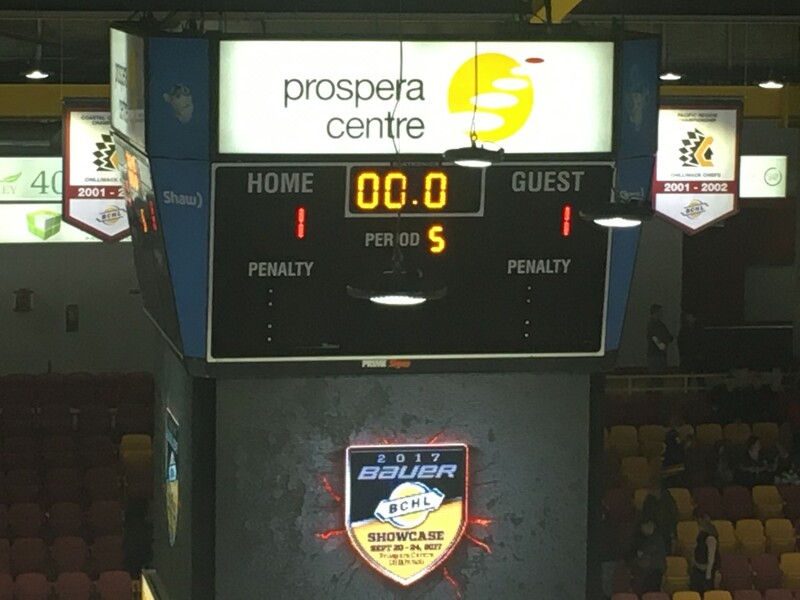 Colten Lancaster took the loss in net, while Adam Scheel picked up first star honours and a relief shut out with the win in 40 minutes of work. I had the Dogs at 0 for 6 on the power play, while the Vees also went 0 for 6. The Dogs are next in action Friday at home when they host the Clippers. It's the conclusion of their appearance at the Bauer BCHL Showcase today, as the Bulldogs (1-2-0-1) take on the defending BCHL Champion Penticton Vees (2-0-0-0) for a 4:00pm puck drop at the Prospera Centre in Chilliwack. 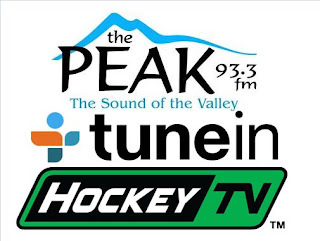 Note the unique start time of 4:00pm - that means Pacific Chevrolet Bulldogs Hockey on 93.3 The Peak FM takes to the airwaves/internetwaves etc at 3:45 for the pregame show, with all the game action to follow. Tonight's 2nd Intermission guest is Dan Marshall, play-by-play voice of the Nanaimo Clippers on our sister station 106.9 The Wolf, with the Dogs hosting the Clippers a week from tonight. A spirited start to the game from both sides, with the Dogs having the first two shots on net, including a great look for Cayden Kraus on a turnover at the side of the Viper net. While he didn't get a lot on his opportunity, he still forced Ty Taylor to make a save. The Bulldogs were penalized soon afterwards, but looked solid on the kill and didn't give up a shot against. The Dogs continued to push the pace through the halfway point of the period. Through the back half of it, the Dogs generated a series of good chances - Jackson Doucet set up Keaton Mastrodonato wide open between the hashmarks, only to have Ty Taylor make a fantastic glove save. A minute later Christian Simeone was set up in the deep slot only to have Taylor deny him with his right toe. Another right toe save by Taylor a couple minutes later kept it a scoreless game. 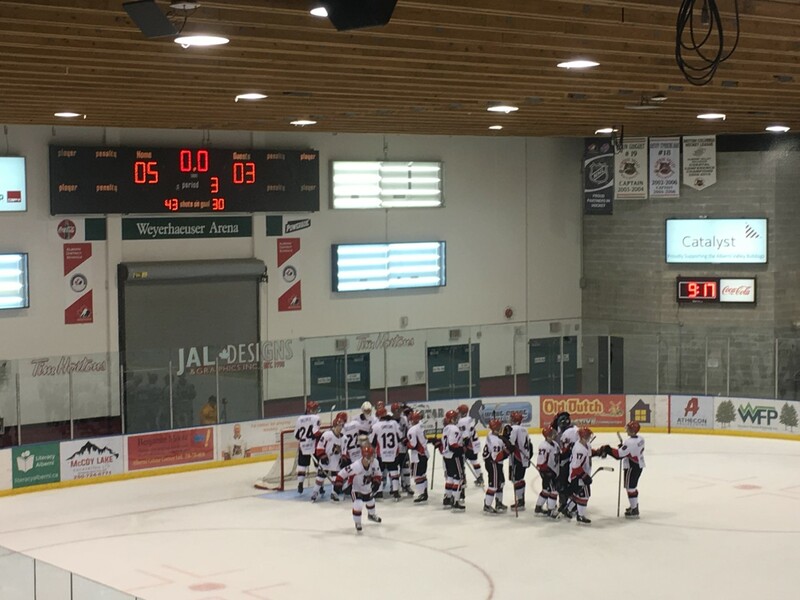 The Vipers would be awarded a power play with less than two minutes to play in the period, but the Dogs again didn't give up much as the buzzer sounded. Shots in the period were 9-5 Bulldogs. The second period again saw the Bulldogs with a fantastic chance inside the first two minutes, with Ty Taylor stopping Cole Poliziani who had a step on a nice pass up the right side. The Vipers would mount a push over the next series of shifts, with John Hawthorne seeing a series of shots and standing tall to keep it scoreless. The Vipers would generate the best chance of the game not long afterwards when Jimmy Lambert snuck out the back door on the Vipers bench and behind the Dogs defence where he took a perfect stretch pass to skate in alone, only to have Hawthorne stare him down without flinching to keep it out with his blocker and pad to keep it scoreless. Just a minute and a half later it was a 1-0 Bulldogs lead, as they connected just nine seconds into a four minute power play when Cayden Kraus was cut by a high stick. The Dogs would win the opening draw, and gain possession. Sami Pharaon would send the puck across the line to Darren Rizzolo at the left point. He crept in and faked a shot before snapping a perfect pass to the back-door for Ryan Steele, who one-timed it into the open side to make it 1-0 at 8:52 of the second. Just two minutes later the Dogs would lose Ryan Steele for the game, and be down a man for five minutes when he was ejected for a hit from behind on Jimmy Lambert that drew blood. At first glance, I thought it was a bad hit. Upon viewing the replay, it seemed like a perfect storm of bad timing, as the instant Steele went to initiate contact, Lambert turned his back to him to receive a puck that was rimmed up the boards. The Dogs would kill off the penalty, with Hawthorne being good and his penalty killers doing a fantastic job. Later in the period Hawthorne came up with another breakaway save, on Lambert again, as he skated in alone and appeared to try the same move with Hawthorne again keeping it out. The Dogs took another penalty with less than a minute to go in the frame, but protected their lead to the buzzer. Shots in the period were 17-5 Vipers, and 22-14 in Vernon's favour after 40 minutes. The Bulldogs killed off the penalty that carried over from the second, and yet another one again early in the third to protect the lead. 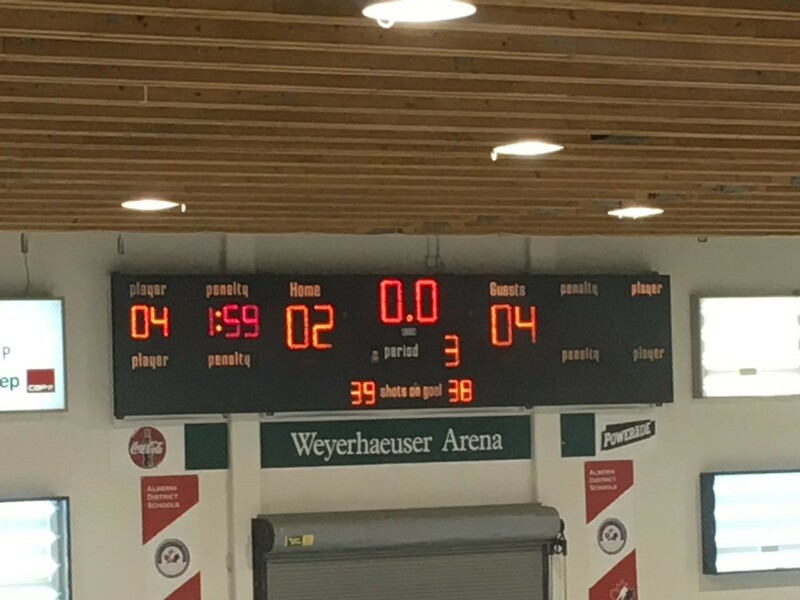 The Vipers would get on the board just short of seven minutes into the period on one of the uglier goals I have seen - but hey, they ask how many, not how. John Hawthorne would get crossed up while playing the puck, and then tripped up by a Bulldog defender whilst trying to retreat to his crease. A crazy scramble would ensue that closely resembled a rugby scrum. It went on for what seemed like forever, before Jack Judson would finally emerge from the pile with it to deposit it into the open net to make it 1-1, un-assisted at 6:56 of the third. The Vipers pushed through the midway point of the period for the go ahead goal, but the Dogs didn't break. They started to push back in the back half of the period, and had a couple good scoring chances before earning a power play of their own with just over four minutes to play. They would threaten on it, but Ty Taylor was good to send the game to overtime. Third period shots were 16-11 Vipers for a 35-28 advantage. The first overtime saw no scoring, with each goalie proving to be solid when tested. 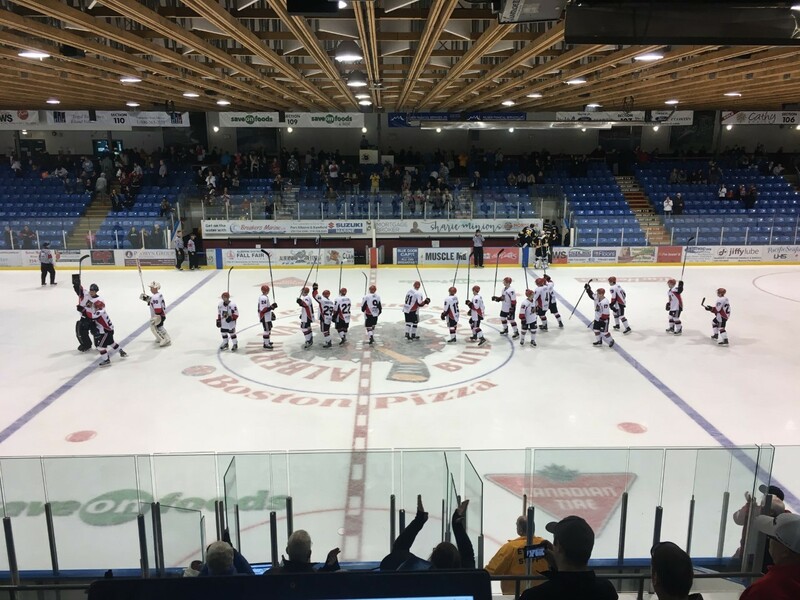 The Bulldogs would earn a power play off the double overtime faceoff, but couldn't generate more than a single shot on it as the Vipers killed it off. At the other end, Hawthorne was only tested once, as the game ended in a 1-1 draw. Shots through overtime were 6-3 Vipers, for a game total of 44-28. John Hawthorne was named first star in earning the draw in net. I had the Dogs at 1 for 4 on the power play while the Vipers went 0 for 5. The Bulldogs conclude their Showcase appearance when they take on the Penticton Vees for a 4:00pm puck drop tomorrow. 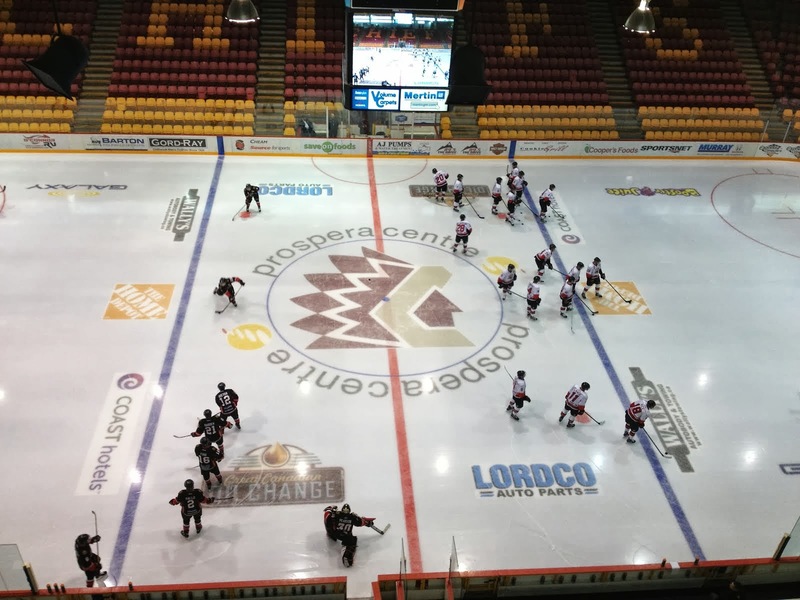 The BCHL Showcase is underway into it's second day today, and the feature game tonight sees the Bulldogs (1-2-0-0) faceoff against the Interior Division's Vernon Vipers (4-0-0-0) for a 7:30pm puck drop. 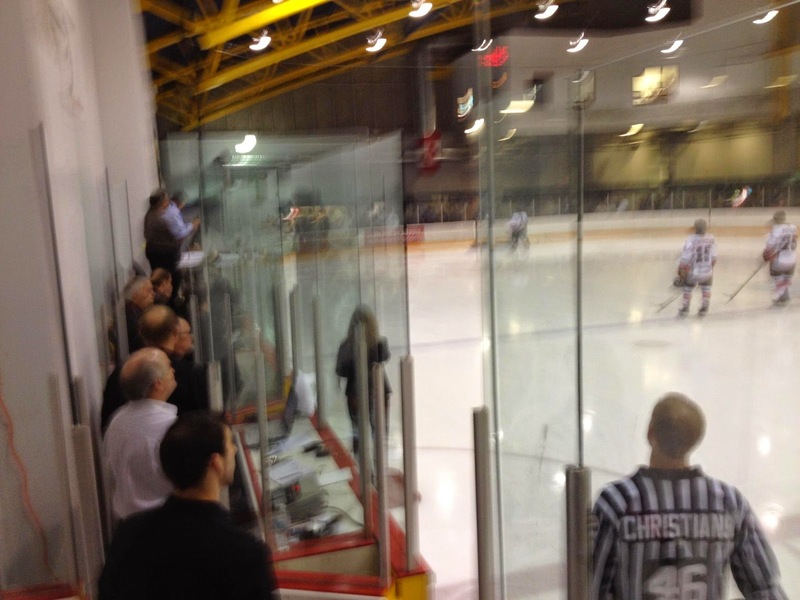 ALL games at the Showcase this year will be in the big Main rink at Prospera Centre, which makes me pretty happy as the Dogs were one of only two teams in the league to be blessed with an appearance in the small rink next door last year, as pictured above. I will NOT miss having to broadcast from that vantage point. From the perspective of the players on both teams, I'm happy they get the full experience like everyone else of playing in the first class confines of the big rink for both games. It's a neutral site game, but it's not at home so tonight's broadcast on 93.3 The Peak FM is brought to you by Pacific Chevrolet - the puck drops at 7:30, so that means I'll be on the air with the pregame show at 7:15. Tonight's 2nd Intermission guest is Craig Beauchemin, the play-by-play voice of the Penticton Vees, who the Dogs face to conclude their Showcase appearance tomorrow. Note the start time of 4:00pm. Here's some highlights from tonight. Excuse the quality and appreciate them for being better than nothing! It's late and I'm checking out for the night! Another great start for the Bulldogs, as they put two pucks on net inside the first 15 seconds of the game. The pace remained high over the following minutes, and the Dogs opened the scoring just over four minutes in at the end of a long board battle in the Express zone with Brandon Bergado doing the most of the work early before Gregg Lee arrived to provide support. Bergado would finally get it loose for Lee, who put a perfect backdoor pass onto the tape of a pinching in Connor Welsh, who one-timed it into the open side backdoor to make it 1-0 at 4:25 of the first. The Express countered with a couple good chances of their own, the most notably being on an extended goal mouth scramble that saw John Hawthorne stand tall with a series of good saves. The Dogs would have a great penalty kill to earn momentum, including a 2 on 1 rush that saw Michael Sacco be just unable to get a shot on net on a cross-ice pass. Later in the period Cayden Kraus would be stopped in alone on the door step by Reid Cooper, as would Jackson Doucet on a one-timer from the slot off a Grayson Valente set up from the point. In the end, the Dogs led 1-0 after one, with shots even at 12-12. The Bulldogs started the second period well, and spent extended periods throughout the first half of it having a territorial advantage on the Express but being unable to parlay it into a goal to widen their lead. They earned their first power play of the game soon afterwards, but Reid Cooper was good when called upon to keep it a one-goal game. The Express would get a power play chance of their own later in the period, with John Hawthorne coming up with one of his best saves of the night with his glove robbing Troy Robillard who appeared to have the top corner picked short-side. The Express would get the equalizer with less than five minutes to play in the frame on the rush, as Sam Kozlowski entered the Dogs zone and put a quick wrister on a rolling puck top corner, far-side over the shoulder of Hawthorne to make it 1-1. Alex Ambrosio drew the only assist at 15:07 of the period. It was the Dogs turn to answer quickly this time, as just 12 seconds later it was a 2-1 game as Gregg Lee fed Darren Rizzolo at the top of point. He would walk into the deep slot, and throw a shot wide of the net that caromed off the end glass and right back to the front of the net where Brandon Bergado one-timed it home at 15:19 of the second. The Dogs had a couple more good chances around the net as the period wound down, but they couldn't build the lead. Shots in the period favoured the Dogs 20-7 for a 40 minute total of 32-19. The Express quickly tied it two minutes into the third on an odd play from behind the goal line that snuck out onto the tape of Christian Sanda who scored on a perfectly placed top corner, short-side high shot from in tight with Colby Pederson drawing the only assist at 2:32 of the third. The Dogs took the lead back nine minutes into the frame on a 4 on 2 rush that saw Cole Poliziani dig the puck loose in the Dogs zone on the left wing wall to find Mitch Oliver. He in turn head-manned it to Isaac Tonkin-Palmer who gained the zone up the left wing and ripped a perfectly placed wrist shot with a quick release top corner, long-side past the glove of Cooper to make it 3-2 at 9:00 of the third. They would double their lead two minutes later on a odd play that saw William Lawrence caught with the puck in his feet near the blue line in the Dogs zone. As he was spinning to locate it, he was hit awkwardly by Gregg Lee. The puck would come free for Darren Rizzolo, who carried it around one defender and walked into the zone as the Express were attempting to jump Lee for some retribution for the hit. Rizzolo would quite similarly pick the top corner on the rush like Tonkin-Palmer as he ripped a quick release top corner, far-side over the glove of Cooper. Assists on the play went to Brandon Bergado and Sami Pharaon at 11:17 of the third. The Dogs had another chance to build the lead mixed in the fray, as Ryan Steele was stared down and stopped on a breakaway by Reid Cooper. The Express would be awarded a power play with just over five to play, and they capitalized to make a game of it with a seeing eye wrister by Troy Robillard finding the top corner over the shoulder of Hawthorne to make it 4-3 at 14:45 of the third, with Christian Sanda and Eric Linell assisting. The Dogs had another chance to seal the deal on a breakaway with a minute and change to play, but Cooper stopped Brandon Bergado to give his team a chance. The Dogs would seal the deal with an empty netter as Darren Rizzolo stopped the Express from entering the Dogs zone, and dug it loose for Keaton Mastrodonato. He would unselfishly dish off to Ryan Steele from just outside the Express line, and he made no mistake to make it 5-3 at 19:36 of the third to complete the scoring. Third period shots were even at 11-11, for a game total in the Dogs favour of 43-30. John Hawthorne picked up his first career win in net in his first start, while Reid Cooper took the loss. The Dogs went 0 for 1 on the power play while the Express went 1 for 3. The Dogs are next in action Thursday at the BCHL Showcase in Chilliwack when they meet the Vernon Vipers. Bulldogs host Express tonight, 33rd Annual Port Alberni Toy Run TODAY! It's right back at it tonight for the Bulldogs (0-2-0-0 ) , as they host the Mainland Division's Coquitlam Express (0-0-1-0) at the Dog Pound. The Bulldogs of course were in action last night at home, where they fell 4-2 to the Victoria Grizzlies. The Express have played just once this season so far, a 2-2 tie last Sunday in Surrey against the Eagles. 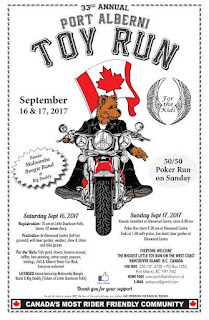 Don't forget - and don't miss the 33rd Annual Port Alberni Toy Run today. The bikes leave Little Qualicum Falls at NOON sharp. They should be in town anytime between 12:20 and 12:30. 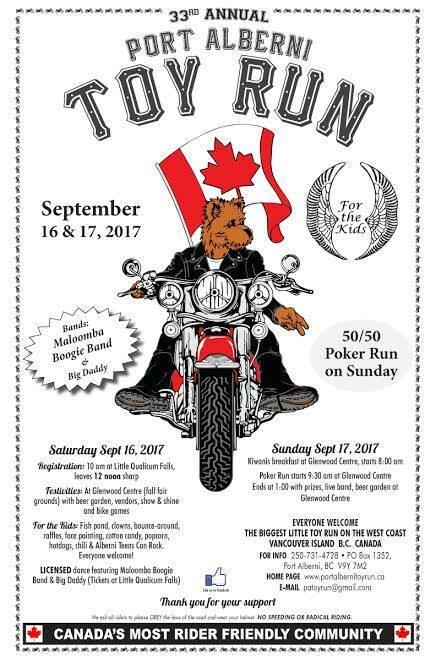 If you have anywhere to be in the city around then, be sure to be early as you will likely be delayed by a huge parade of Motorcycles. After the fog lifted and the lights came on, the action was quick from the opening puck drop with no whistles through the first 1:44 of play. The Dogs would be penalized soon afterwards on an odd call, at least in my opinion at their blue line on what looked like a clean check. They would kill the Victoria advantage off, and then get on the offence to open the scoring on the rush as Connor Welsh put a hard pass to centre ice up the right wing for Michael Sacco. He would use speed to gain the attacking line, and then show good patience to keep possession as he gained the attacking line to get traffic to the net, before putting the puck there where Brandon Bergado found it off a defender's stick and scored off a spin around backhand through the legs of Zachary Rose to make it 1-0 at 8:36 of the first. The Grizzlies would get the equalizer on a neutral zone turnover seven minutes later, with a defenceman stuck at centre, and the other one on the wrong side of the zone which resulted in a breakaway for Alex Newhook. He would drive the net and make the back checking defenceman miss, and then put a wrist shot on net that Colten Lancaster got a good chunk of it with his glove, but not enough of it as it bounced in over the line to make it 1-1, un-assisted at 15:43 of the first. 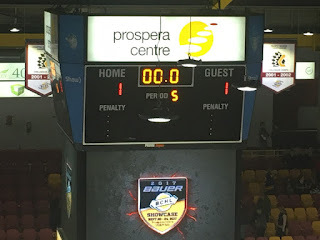 The Grizzlies would push for the go-ahead marker in the following minutes, but the Dogs pushed back and had a fantastic chance in the late stages of the period as Christian Simeone and Ryan Steele set up Cole Poliziani at the side of the net in alone, but Rose came up with a desperation glove save to keep it 1-1 after one, with the Grizzlies out shooting the Dogs 14-10. The Grizzlies began the second with a solid push, hemming the Dogs in their zone. They couldn't find the net though, as Lancaster was solid. Just two minutes later it was a 2-1 game on a play that I thought was icing but was waved off. Justin Michaelian would carry the puck down the left wing and behind the Dogs net before catching Lancaster getting cross-crease too slowly by tucking a wrap around inside the post at 3:09 of the second with Jordan Guiney drawing the only assist. Just nine seconds later it was a 3-1 game as Jamie Rome knocked a loose puck down with his glove at centre ice and raced into the attacking zone and made everyone miss before sliding it in through the legs of Lancaster at 3:20 of the second with Lucas Clark drawing the only assist. Despite the gut punch, the Dogs quickly responded to push back in an attempt to trim the gap, creating more than a couple great looks around the net. Zachary Rose would make a fantastic save to protect the lead, diving post to post to get his paddle down to stop a Simeone stuff in attempt off an end-board bounce. The score stayed 3-1 through the rest of the period until the final seconds of the frame, when the Dogs turned it over just outside their blue line and the Grizzlies attacking on the rush as Cameron Thompson did a good job to dig it loose for a streaking Jamie Rome who raced in alone again untouched where he put a perfect shot top corner, short-side under the bar and over the glove of Lancaster to make it 4-1 at 19:39 of the second. Shots in the period favoured the Dogs 19-14 for a two-period total in their favour of 29-28. The third period began with the Dogs initially having an inspired push to get back into it, but the Grizzlies didn't bend as they protected the lead. The Dogs would take a couple penalties that hurt their comeback chances, but they would kill them off to keep in it with Colten Lancaster being good when called upon. Despite the hole, the Dogs continued to try to make a game of it and finally succeeded with an extra two minutes going to the Grizzlies well after the fact. 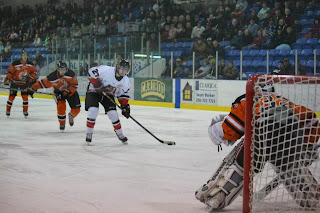 The Dogs would connect on it on a cross-ice D-to-D pass that saw Tyson Slater one-time a low shot on net that was deflected past Rose by Christian Simeone to make it 4-2 at 17:59. The Dogs would get their goalie out and threaten over the remainder of regulation, but couldn't get one to go to make it a one goal game as the Grizzlies made the lead stand. Shots in the third were even at 10 aside, for a game total of 39-38 Bulldogs with Colten Lancaster taking the loss in net while Zachary Rose picked up the win. The Dogs went 1 for 2 on the power play while the Grizzlies went 0 for 5. The Dogs are next in action tomorrow night when they host the Coquitlam Express. 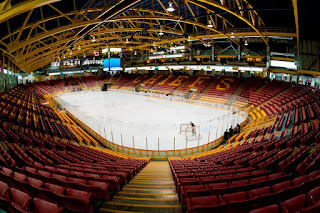 It's a night that fans have been waiting much too long for, as they can finally watch their team on home ice again for the first time since February, as the Bulldogs (0-1-0-0) host the Victoria Grizzlies (1-1-0-0) tonight for their 2017-2018 Home Opener. 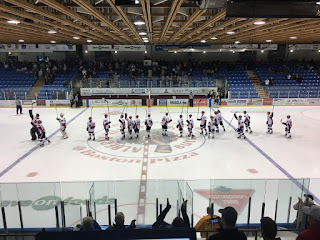 The Dogs were last in action Friday night in Nanaimo, where they fell 5-3 to the Clippers after leading 2-1 with less than six minutes left in the game. The circumstances of course matter not - lose 5-3 8-3 or 1-0, or win by the same score. I still think it begs mentioning when there's only been one game so far to speak of. The Grizzlies were in Powell River for a double header to open the season last Friday and Saturday. They dropped an 8-2 decision on opening night, but bounced back with a 2-1 double overtime win on Saturday. Be sure to get to the rink early as there will be pregame festivities outside, including a BBQ to support Literacy Alberni. 93.3 The Peak FM Afternoon Drive host John Vosper will be there as well broadcasting Live. 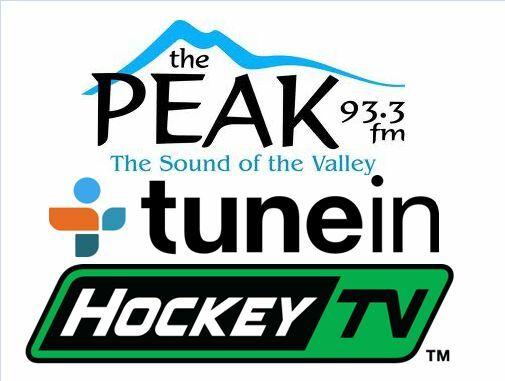 If you can't make it to the rink, we'll do our best to make you feel like you're there on Van Isle Ford Bulldogs Hockey on 93.3 The Peak FM. I'll take care of the hosting and play-by-play duties, with Bruce MacDonald providing the colour commentary and analysis and Dan Tisserand covering the team and player statistics. Tonight's 2nd Intermission guest is Eddie Gregory, play-by-play voice of the Coquitlam Express, who visit the Dog Pound tomorrow night.